Due to the impressive damage this weapon will become a nightmare for your enemies. Even the most modern helmet will not save at close range. In addition, has a memorable appearance. 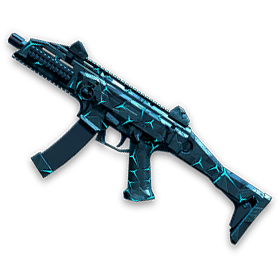 Pin Code: CZ Scorpion Evo3 A1 "Stuzha"
Pin-codes are non-refundable! Consider your purchase, check before buying the availability of inventory / arsenal or another for the purchased PIN. The complaint about the inoperability of the code is considered only in the case of video recording, from the moment of purchase of the goods with the subsequent activation WITHOUT SCLECES in full screen with time in the system tray!